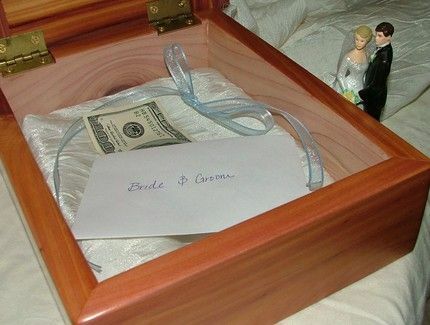 They'll cherish their wedding invitation when it's given to them as a keepsake box. Give it by itself, or add another gift inside. This box is made of Aromatic Red Cedar and is finished on the outside, but left raw on the inside to allow for the rich scent of cedar. 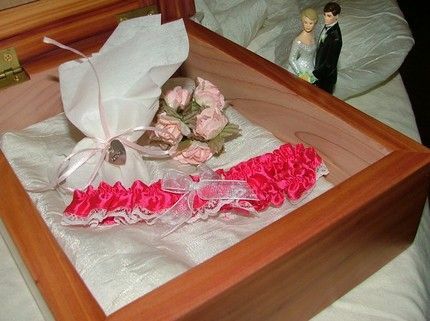 Please note ALL WEDDING INVITATIONS ARE DIFFERENT SIZES, making this a truly custom gift. Please email with the exact width and length of your invitation. Please email for shipping costs outside the 48 United States. 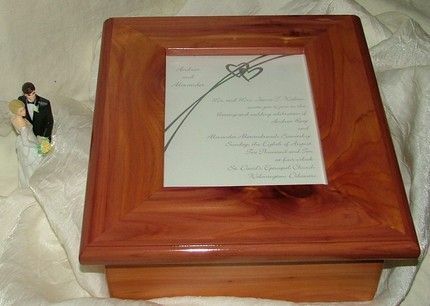 Dimensions: This particular box measures 11 1/2 x 9 inches on the outside, and 8 1/2 x 6 1/2 inches on the inside. 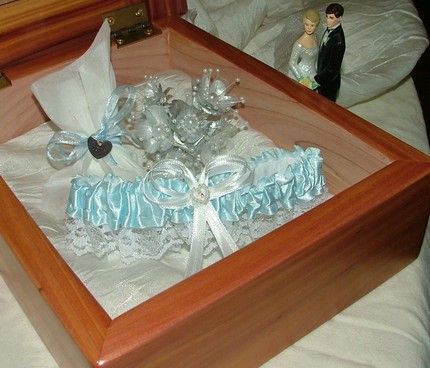 The inside of the box has a lovely light pillow cushion bottom.